Free download - programs for Windows Free Android Data Recovery, Mytoolsoft Watermark Software, UkeySoft Video Converter, Mytoolsoft File Renamer, UkeySoft File Lock, Mytoolsoft Photo Resizer, Free Data Recovery, Picture Viewer Max, ThunderSoft Free Video Editor, Duplicate Media Finder Free download! »» Free download Free Android Data Recovery! Free Android Data Recovery ::: a computer program that allows users to retrieve data. Using Free Android Data Recovery, you can recover deleted or lost data from Android devices. Free Android Data Recovery is a data recovery program stable, fast and very effective. »» Free download Mytoolsoft Watermark Software! Mytoolsoft Watermark Software ::: a computer program that allows users to apply watermarks to photos. Using Mytoolsoft Watermark Software you can place different types of watermarks on your photos. Mytoolsoft Watermark Software is a very useful program for photographers, website administrators and designers. »» Free download UkeySoft Video Converter! UkeySoft Video Converter ::: a computer program that allows users to convert between different media files. Using UkeySoft Video Converter, audio and video conversion, is much simpler and more efficient. UkeySoft Video Converter supports and is compatible with most popular video formats. »» Free download Mytoolsoft File Renamer! Mytoolsoft File Renamer ::: a computer program that allows users to rename files. Using Mytoolsoft File Renamer can rename all files on your computer. Mytoolsoft File Renamer allows to apply different filters and provides an interesting system to organize. »» Free download UkeySoft File Lock! UkeySoft File Lock ::: a computer program that allows users to protect data. Using UkeySoft File Lock can block access to important files and folders. UkeySoft File Lock allows the creation of passwords for these files, blocking unwanted access. »» Free download Mytoolsoft Photo Resizer! Mytoolsoft Photo Resizer ::: a computer program that allows users to edit photos. Using Mytoolsoft Photo Resizer you can cut, rotate, resize or convert images. Mytoolsoft Photo Resizer supports and is compatible with the most popular photo formats. »» Free download Free Data Recovery! Free Data Recovery ::: a computer program that allows users to recover lost or deleted data. Using Free Data Recovery can recover photos, music, videos, etc..
Free Data Recovery supports the most popular file systems and the most popular storage devices. »» Free download Picture Viewer Max! Picture Viewer Max ::: a computer program that allows users to manage digital photos. 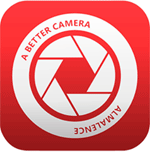 Using Picture Viewer Max you can manage, compare and visualize all your photos. Picture Viewer Max supports and is compatible with the most image formats. »» Free download ThunderSoft Free Video Editor! ThunderSoft Free Video Editor ::: a computer program that allows users to edit video. Using ThunderSoft Free Video Editor you can apply different effects, create montages, join or combine video files. ThunderSoft Free Video Editor is a simple, stable, fast and very effective video editing program. 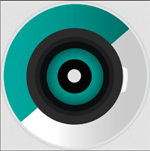 »» Free download Duplicate Media Finder! Duplicate Media Finder ::: a computer program used to find duplicate files. Duplicate Media Finder scans, analyzes and detects duplicate files from different data storage devices.